The 'terrorist' who was supposed to destroy an airliner using a sophisticated new bomb was a CIA agent, say officials. 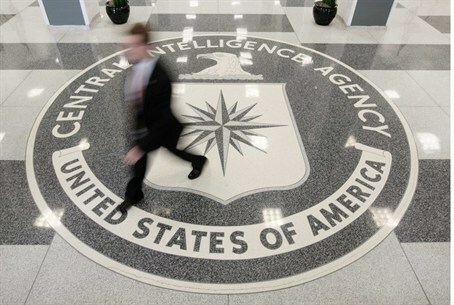 More details emerged on Tuesday about the plot by Al-Qaeda's affiliate in Yemen which was thwarted by the CIA. The plot involved a terrorist destroying a U.S.-bound airliner using a bomb with a sophisticated new design, around the one-year anniversary of the killing of Osama bin Laden. According to The Associated Press, last month U.S. intelligence learned that Al-Qaeda's Yemen branch hoped to launch a spectacular attack using a new, nearly undetectable bomb aboard an airliner bound for America. But the man the terrorists were counting on to carry out the attack was actually working for the CIA and Saudi intelligence, U.S. and Yemeni officials told AP. The FBI is still analyzing the explosive, which was intended to be concealed in a passenger's underwear, AP reported. Officials said it was an upgrade over the bomb that failed to detonate on board an airplane over Detroit in December of 2009. The new bomb contained no metal and used a chemical — lead azide — that was to be a detonator in a nearly successful 2010 plot to attack cargo planes, officials told AP. Security procedures at U.S. airports remained unchanged Tuesday, the report said, and officials believe that body scanners probably would have detected this latest attempt by Al-Qaeda to bring down a jetliner. Such scanners allow screeners to see objects hidden beneath a passenger's clothes. The report noted that while scanners are in place in airports in the U.S., their use is scattershot overseas, even in security-conscious Europe. While in some countries, U.S. officials are stationed in airports to offer advice on security matters, AP reported, the U.S. is limited to hoping that other countries follow the security advice from the Transportation Security Administration. Al-Qaeda has repeatedly tried to take advantage of those overseas gaps in airport security. The 2009 bombing originated in Amsterdam, where the bomber did not receive a full-body scan. In 2010, terrorists smuggled bombs onto cargo jets, which receive less scrutiny than passenger planes. In both those instances, the bombs were made by Al-Qaeda's master bomb maker in Yemen, Ibrahim Hassan al-Asiri, AP noted. Officials believe this latest bomb was the handiwork of al-Asiri or one of his students.